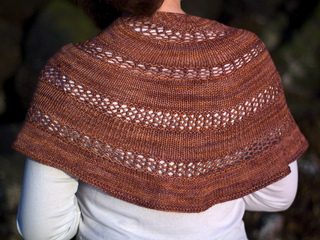 Reminiscent of the undulating ripples of sand left when waves recede, the Hermosa Shawlette features bands of stockinette interspersed with delicate lace. 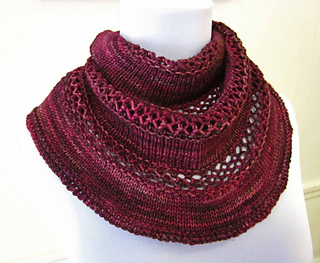 This simple pattern accentuates the highlights and shadows of the featured yarn, Malabrigo Arroyo. Like its namesake beach in Southern California, Hermosa will make you relaxed and confident in its easy beauty. 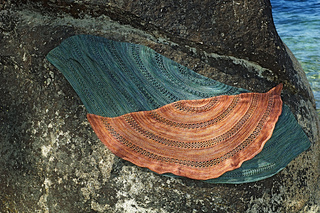 Hermosa was designed as part of the Malabrigo March 2011 design contest. 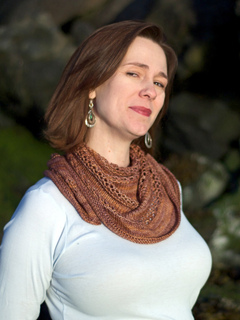 A great cast-on to use with this shawl can be found here, though any cast-on will work.